BANGKOK — Investigators in Thailand acquitted the deputy prime minister of criminal charges of failing to declare assets a year after he was discovered to have several luxury watches that would have been out of reach of his government salary. The saga began last December when photographs were taken at the unveiling of a new Cabinet. 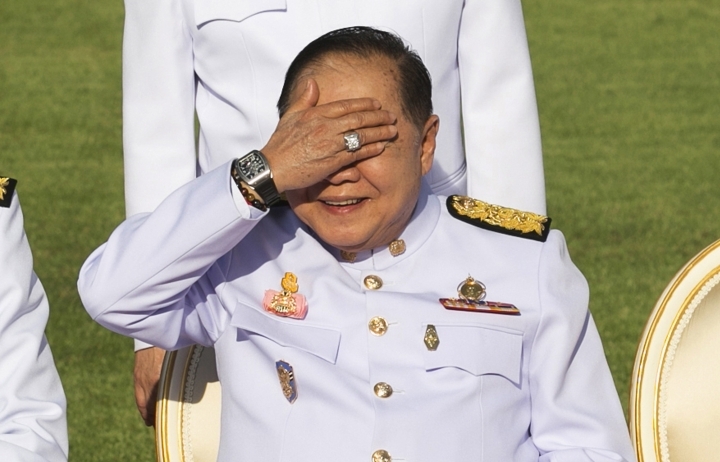 The minister of defense, Gen. Prawit Wongsuwan, raised his hand to shield his eyes from the sun and reporters noticed his gleaming watch. A check of records of his disclosed assets showed he had never declared the expensive Richard Mille timepiece. His explanation that he had borrowed that watch and more than 20 others from a dead friend was met with public ridicule. The head of Thailand's anti-corruption body said Thursday that it determined Prawit's explanation to be true. "A committee of the National Anti-Corruption Commission has voted 5 to 3 to rule that there is insufficient evidence to conclude that Gen. Prawit Wongsuwan had intentionally filed a false declaration of assets or was hiding required information," Worawit Sookboon, secretary general of the commission, said at a news conference. Prawit is a top member of the military junta that has ruled Thailand since staging a coup in 2014. It vowed to rid Thai politics of corruption but has seen its members tied to a number of corruption allegations. The junta has promised to hold elections early next year, though critics are concerned the vote could be rigged to put current junta members into elected office. Worawit said the committee ruled that Prawit had borrowed 22 watches from a late high school friend, former businessman Pattawat Suksriwong. He said photos alleged to show Prawit wearing 25 watches include three photos of the same watch. Twenty watches were found at Pattawat's home and a warranty receipt for another showed Pattawat owned 21 of the watches that Prawit was photographed wearing, he said. One watch could not be accounted for, but since Prawit had borrowed 21 from Pattawat, it could be assumed he had borrowed another, Worawit said.